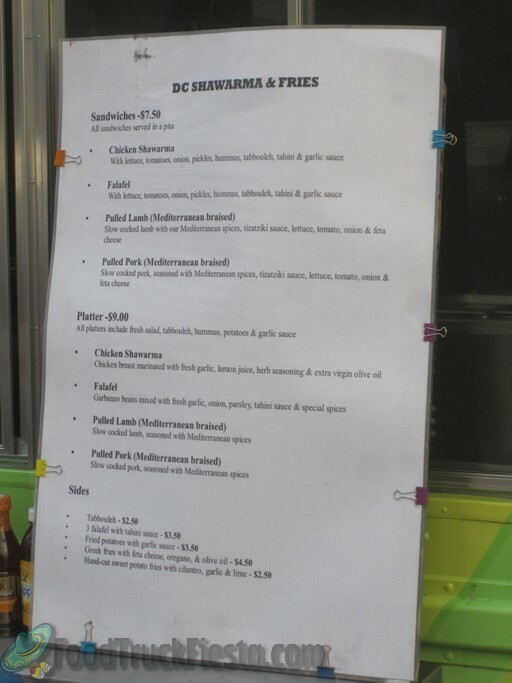 DC Shawarma is a Lebanese food truck serving Chicken Shawarma, Beef Shawarma and Falafel as sandwiches on a platter. 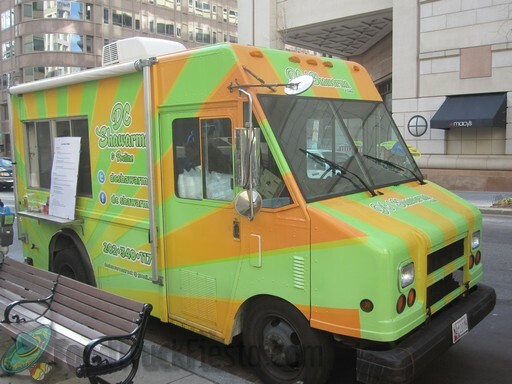 They launched in DC on October 27, 2011. They haven’t tweeted a location since June 2012, so I think they’ve retired.